Marks & Spencer is directly in Longbridge Town Centre at 20 High Street, approximately a 7.47 mile driving distance south-west from the centre of Birmingham, in Longbridge (not far from Bournville College and Longbridge Technology Park). The store serves the customers of Longbridge, Cofton Hackett, Rednal, Rubery, Turves Green and Hopwood. Opening times for today (Thursday) are from 9:00 am until 9:00 pm. 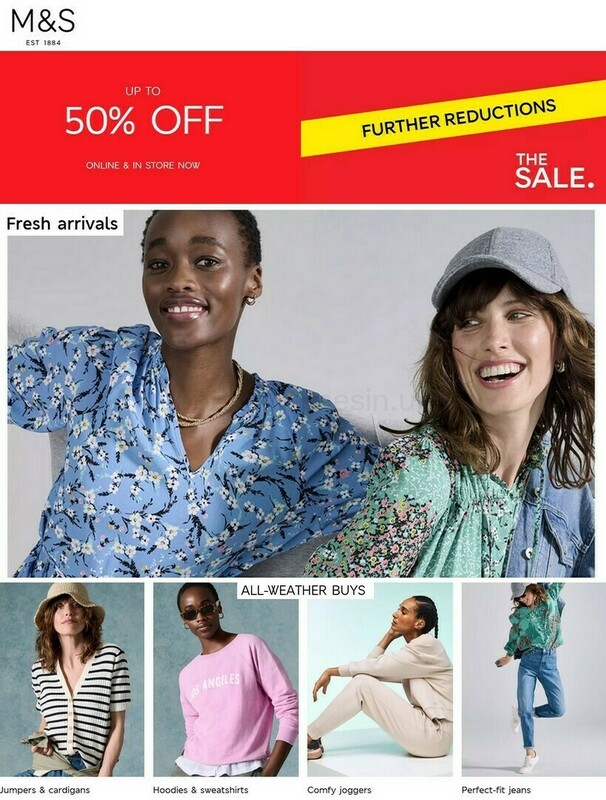 Refer to this page for information on Marks & Spencer Longbridge, Birmingham, including the operating hours, local navigation, contact number and more. Visit Marks & Spencer close to the crossroads of High Street and Longbridge Lane, in Longbridge, Birmingham, at Longbridge Town Centre. Simply a 1 minute trip from Longbridge Lane, High Street and Tessall Lane; a 2 minute drive from Lickey Road, Turves Green or Bristol Road South; and a 14 minute drive from Junction 4 (Lydiate Ash) of M5. The postcode for Sat Nav systems is: B31 2UQ. Bus services run to and from Longbridge Lane and Bristol Road South. Conveniently available by the routes: 19, 39, 42, 45, 49, 63, 98, 144, 145, 801, 802, 849, 39A and 39S. Within a couple miles there is Albert Bradbeer Primary Academy, Austin Park, North Worcestershire Golf Club, Bournville College, Cofton Park, Extracare Village Longbridge and Longbridge Technology Park. At the present, Marks & Spencer owns 9 branches in Birmingham, West Midlands. Click here to see a complete listing of Marks & Spencer locations near Birmingham. Over the UK holiday period, store hours for Marks & Spencer in Longbridge, Birmingham may vary. These alterations cover Christmas Day, New Year's Day, Easter or Summer Bank Holiday. The quickest way to get detailed information about holiday opening hours for Marks & Spencer Longbridge, Birmingham is to visit the official homepage, or call the contact number at 0333 014 8555. Don't forget to look in on the additional appealing stores at Longbridge Town Centre. You will also find Sainsbury's, Poundland, Smyths Toys, Barnardo's, SUBWAY, Card Factory and Marks & Spencer at this location. Help our team keep the information as up to date as possible. Please feel free to make use of the report a problem form to report any errors with the contact details or operating times for Marks & Spencer in Longbridge, Birmingham. In the space below, please submit your thoughts about Marks & Spencer, and rate its store using the star scale. Your critique would help potential customers.